Buy Omeprazole 20mg capsules online at The Independent Pharmacy. Order now using our free online consultation and expert medical advice to help you get the right treatment. Free delivery makes this the fastest and most convenient way to buy your meds. 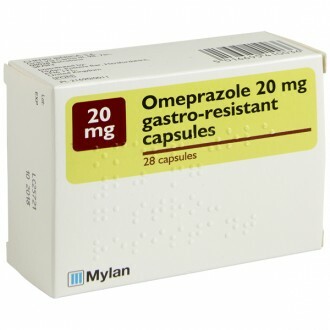 Omeprazole capsules are a reliable treatment for stomach problems including heartburn, acid reflux, and indigestion. They ease these recurrent symptoms by suppressing the production of acid in the stomach for a period of up to 72 hours. These capsules are taken daily, and will take effect within one hour. Stomach acid is necessary for the digestive process. They break down food before it reaches the intestines. Normally, the oesophagus is protected from these acids by a group of muscles called the esophageal sphincter. These muscles are meant to form a one-way barrier: food can enter the stomach but acids and other substances remain down. However, sometimes, this sphincter weakens under excess pressure. As a result, stomach acid passes this barrier and enters the oesophagus. This is acid reflux. Heartburn is the name for the painful sensation of acid irritating, or burning, the tissues of the oesophagus. It has nothing to do with the heart – it gets its name because the pain is felt at the base of the chest. Many will experience occasional heartburn. However, some people suffer from these symptoms very frequently – this may be due to gastro-oesophageal reflux disease (GORD). 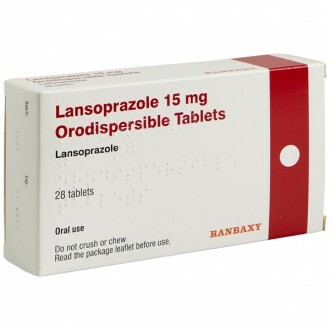 Omeprazole is a prescription medicine for GORD and other similar stomach conditions. It works by suppressing the activity of proton pumps, the proteins which produce acids in the stomach. 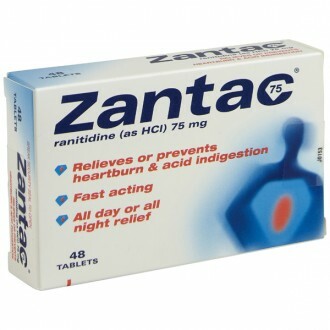 This decreases the amount of acid in the stomach, relieving the symptoms of heartburn. 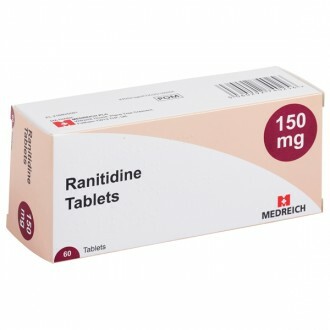 This effect can last for a period of up to 72 hours; your acid levels will return to their previous level three to five days after you stop taking the medication. GORD is fairly common – it is thought to affect 20% of people. Anyone can suffer from GORD, though it is most common in men over 40. Along with the pain of heartburn, acid reflux can leave a very unpleasant taste if acid reaches the mouth. These symptoms are likely to be much worse if you are lying down horizontally. Consider sleeping on an incline, and avoid lying down after eating. Often people experiencing heartburn may also experience diarrhoea, constipation, sore throat, gas and burping. Obesity is the primary cause of GORD. This is because excess stomach fat puts pressure on organs such as the stomach. This forces stomach acids past the esophageal sphincter and into the oesophagus. Large meals that fill the stomach have the same effect, so consider eating smaller meals. Along with fatty foods, try to avoid foods that are acidic themselves or spicy. Onions, chocolate, and gluten, as well as carbonated or caffeinated drinks, can also lead to heartburn. Studies have shown that both alcohol and nicotine can weaken the muscles of the esophageal sphincter, leading to acid reflux. There are also several medications that interfere with digestion or the oesophagus in a way that might increase your risk of GORD. Talk to your GP about whether your medication might be causing your acid reflux, and if other treatments are available. Gastritis can cause symptoms of heartburn and indigestion. This is a condition where the stomach lining becomes inflamed and causes pain in the stomach. In order for it to heal, the best cause of action is to reduce the amount of acid in the stomach. 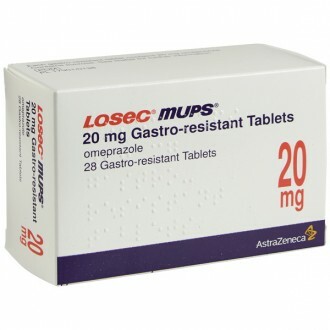 Omeprazole 20mg tablets can help reduce the symptoms of gastritis until the stomach lining heals. Omeprazole comes in 20mg capsules, which you will take once daily. Swallow the capsule whole with a sip of water. It is important that you do not crush or chew the capsule. You can take it with or without food – many people prefer to take Omeprazole one hour before eating, such that they will not have heartburn during or after that meal. To treat GORD, take one capsule per day for four to eight weeks. In severe cases, you may be prescribed two capsules per day. If your acid reflux is severe, your doctor may advise other treatments to deal with the causes of your acid reflux more directly. Digestion problems (including stomach pain, constipation, diarrhoea, and wind), headache, nausea. Omeprazole capsules are unsuitable for you if you are allergic to any of its ingredients, or are allergic to any other proton pump inhibiting medicines (including lansoprazole, pantoprazole, esomeprazole or rabeprazole). Do not take Omeprazole if you are also taking any HIV medicines, which contain nelfinavir. Please read all packaging and the Patient Information Leaflet before taking any new medicine, and inform your doctor of medicines you are taking or intend to take. How do I buy generic Omeprazole capsules online? You will need to fill in a simple health questionnaire so that our GPs and Pharmacists can ensure it is safe for us to supply your Omeprazole capsules to you. It only takes a few minutes, and your treatment can be delivered to your door as soon as the next working day. Is it safe to buy Omeprazole capsules online? Yes – as long as you are buying from a website that is a legally operating and regulated pharmacy, it is perfectly safe to buy Omeprazole capsules online. What are the advantages of buying Omeprazole capsules online? 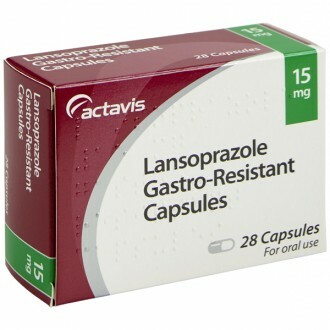 A wealth of information - we provide all the information you could need on Omeprazole capsules and other acid reflux treatments, in easy to digest formats, at a time that suits you. Does Omeprazole interact with other types of medication? Omeprazole can be taken in conjunction with a number of different types of medicine. If you are currently taking other medication, it’s important to speak with a medical professional before taking Omeprazole.You can contact us here and we will be happy to help you. Does drinking milk help to reduce symptoms of heartburn and indigestion? Milk has been suggested for a number of years as a way to reduce symptoms of heartburn. Although milk does seem to buffer the initial symptoms of heartburn and indigestion, it could actually cause more discomfort. The fatty acids and other nutrients in milk can cause your body to produce even more acid to try and break down the milk. This method can actually make symptoms worse, which is why it’s a good idea to invest in the right medication for your needs. Heartburn is caused by acid from the stomach travelling upwards, into the oesophagus. This can cause a burning like pain behind the breastbone and can become uncomfortable if left untreated. Some people are more prone to indigestion, like those that simply produce more stomach acid, those with structural issues (those with a weak or small valve at the top of their stomach, or those with a disease or condition that exacerbates conditions of heartburn. There are a number of different foods and drinks that can cause symptoms of heartburn to become worse. For example, those that drink alcohol or smoke will be at a higher risk of suffering from symptoms of indigestion and heartburn. Can heartburn or indigestion cause chest pain or mimic symptoms of a heart attack? Yes, heartburn can cause pain in the chest, usually felt as a burning sensation behind the breastbone. Though heartburn can feel painful at the time, if its not a chronic condition (happening everyday) then it rarely causes for concern. Other complications and medical conditions can cause pain in the chest, especially persistent conditions of acid reflux. Conditions like GORD, gastric ulcers, and gallbladder attack can all cause severe chest pain that mimics the symptoms of other, more serious conditions like heart attacks and angina. Can heartburn and indigestion be an early sign of pregnancy? In some cases, symptoms of heartburn can be caused by pregnancy. The hormone progesterone increases in the body during the early stages of pregnancy and this can cause indigestion and heartburn symptoms. Progesterone causes the body to relax, preparing it for labour. This hormone can cause the valve at the top of the stomach to relax, allowing acid from the stomach to travel up towards the oesophagus and cause pain. This is usually the most common during the night. If you are suffering symptoms of heartburn with no other symptoms present, then the chances of pregnancy are slim. If you are concerned about heartburn, then it’s important to speak to a professional to get a diagnosis. If you are pregnant or breastfeeding then it is not recommended to continue taking Omeprazole, unless specifically directed by a healthcare professional. If you are unsure whether it’s safe to continue taking Omeprazole or would like to find out about other treatments available, speak to one of our professional doctors today with a free consultation. Omeprazole is not suitable for infants or babies unless specifically directed by a healthcare professional during a face-to-face consultation.